Jump start your summer fitness routine! Join us to connect on an inspiring walk through Vancouver's finest trails & parks. 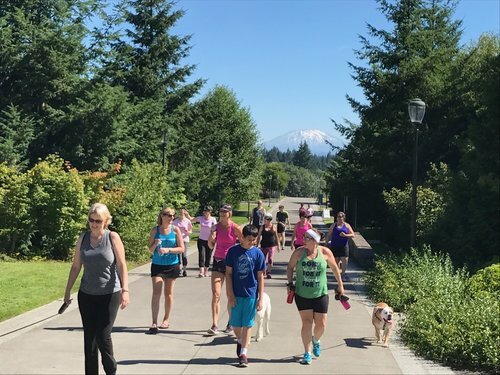 Pink Link Fit walks are open to those affected by breast cancer…feel free to bring family, friends, and Fido too! We walk rain or shine, just look for our Pink Lemonade Project sign! This hard-surfaced, shared-use trail offers excellent opportunities for walking, biking, jogging, commuting and viewing the Burnt Bridge Creek Greenway. The trail passes through a variety of landscapes, including open grasslands and heavily wooded areas. Most of this trail is flat with the exception of the section approaching the I-5 crossing. We will meet at 9am and start walking in small groups at a comfortable pace. Thank you for registering for the August Pink Link Walk!